Annie and Anand Kolatkar are the parents of Arabella (11) and Adrian (7). 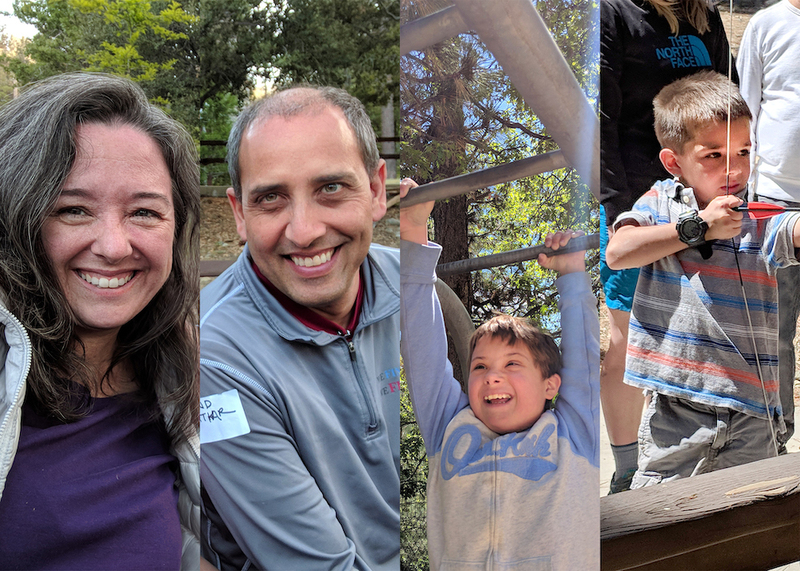 Our Ambassador Family attended our Sight Awareness Camp in May of 2018. They were referred to us by a Blind Children’s Center family and attended camp together. Dad, originally from India, is a cancer researcher at USC and mom, a California native, is an author, energy healer and oil painter. Arabella, a charismatic 5th grader, has dual diagnoses of Down syndrome and autism. She has multiple vision diagnoses but doesn’t let any of that stop her. She enjoys being an artist and enjoyed all the camp art activities. Adrian, her exuberant 1st grade brother is a former reverse mainstreamer from Blind Children’s Center where he has several friends with vision problems. He and his buddies raced around camp participating in all the activities having a total blast! When he grows up he wants to be a doctor and help children with special needs.